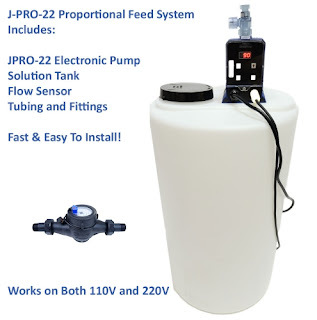 Hello – I have a cistern that I am considering using for drinking water. Our well has been pumping very little water lately and I am using our old concrete cistern to store trucked-in water. I am also thinking of using it to store rainwater. How can I make sure that my cistern water is clean and free of contamination? Even though the water is trucked in, the water in our cistern has a bad odor to it and we are reluctant to use it. As you know, a cistern is a waterproof tank for the purpose of storing rainwater. Cisterns are often designed to capture and save rainwater, but may also be used to store well water. Without additional care, water stored in cisterns may become infected with bacteria and develop odors. The good news is there are a number of affordable as well as simple methods to manage cistern water. Cisterns are generally utilized in areas where drinking water is scarce, either because it is scarce or even because it has been depleted because of heavy use. A cistern is usually placed underground and is made of a variety of material such as pre-cast concrete, Ferro-cement, cinder block, plastic or metal. 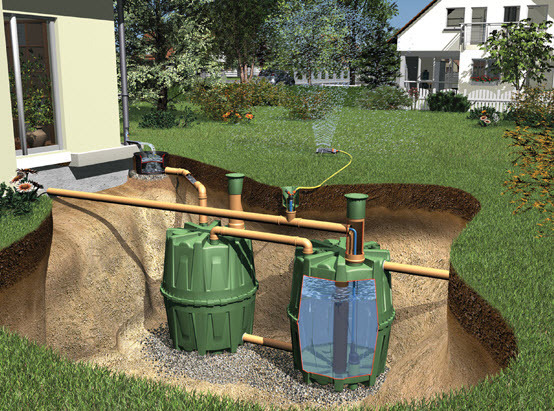 Cisterns are often times only utilized for irrigation as a result of worries over water quality. Rotting organic substances, such as wild bird excrement, leaves, insects and harmful bacteria, oftentimes contaminate cisterns as well as cause unpleasant odors to develop. Uncovered cisterns can sometimes be a drowning risk for smaller sized rodents, whose decayed bodies can easily jeopardize the health of drinking water. If a cistern sustains damages as well as a leak, water can flood the basement or location in which the cistern is located. Cisterns which use hard water can develop calcium deposits in the pipes that run to or from the tank over time. Where roof rainwater is being kept in a cistern, much of the organic matter enters the cistern with the first few gallons which flush the roof. Being mindful of this, a lot of cistern owners construct or install basic devices to permit the initial rainwater run-off to bypass the cistern, therefore cleaning the roof structure and permitting cleaner rainwater to go in the cistern. But, no matter how clean the roof, it is impossible to prevent all organic substances from entering cisterns; consequently, treatment of water in the cistern to eliminate odors and eliminate parasitic organisms and bacteria is very important. Odor-causing organic matter within cistern water can usually be oxidized as well as eradicated by blending a tiny quantity of chlorine into the cistern water at the rate of 4.5 liters (1 gallon) of household laundry bleach (5.25 percent) for each 4,550 liters (1,000 gal.) of water. In the event the odors have not evaporated after 24 hours, this treatment ought to be done again. Once the organic matter is oxidized, the odor will not return until finally, more organic matter makes its way into the cistern. Any chlorine bleach smells will disappear rapidly within a day or two so long as the cistern is properly venting. The treatments as listed above don't eliminate the need for cleaning and maintenance of the cistern as well as catchment systems. Whenever treated water from a community system is utilized to fill up a cistern, 170 milliliters (3/4 cups) of chlorine laundry bleach should be added to each and every 4,550 liters (1,000 gals.) of water. This will likely produce 2 milligrams per liter (mg/L) or two parts per million (p.p.m.) of chlorine bleach and take good care of any pollutants in tanks or those introduced during hauling or transport of the water supply. When untreated well water is used to fill a cistern, enough chlorine bleach should be added to oxidize any iron, manganese, hydrogen sulfide or harmful bacteria present. In addition to chlorine demand guidelines (iron, manganese, etc.) 170 milliliters (3/4 cups) of household bleach, or an equal amount of another chlorine mixture, ought to be added to each 4,550 liters (1,000 gallons) of water to provide residual of 2 mg per liter (mg/L), also shown as parts per million (PPM). With well water, it is always a good idea to do a simple water test to find out the mineral content as well as if bacteria is present. When a water test is not readily available, 570 milliliters (one pint) of chlorine laundry bleach, or an equivalent quantity of a different chlorine mixture, should be added with every 4,550 liters (1,000 gallons) of water. Replicate treatment method if no chlorine odor is detected 12 hours after initial treatment. Calcium hypochlorite is dry chlorine and should be dissolved in warm water in a non -metallic container before it's put into the cistern. The mix needs to be thoroughly stirred (minimum of five minutes) to ensure that it dissolves. One low-cost excellent way to eliminate bacteria and odors in cisterns is to use a small proportional-feed chlorinator. A proportional-feed chlorinator is a type of small pump that pumps in chlorine bleach and is controlled by the water meter. This type of chlorinator works best because the chlorinator can be installed inside the garage or house and not at the well. These systems are easy to install and don’t require any special wiring. This keeps the water in the cistern free of odor-causing bacteria. Chlorinated water can reduce or eliminate coliform bacteria in the cistern water. An optional carbon backwash filter removes any hint of chlorine taste or odor along with organic matter such as tannins. The result is clean, fresh, odor-free, disinfected water throughout the home with little or no pressure loss. There are no cartridges to change and maintenance consists of adding some chlorine bleach to the solution tank every 3 – 4 months. For the majority of household cisterns, it is advisable to set up a system where all of the water entering the home from the cistern is disinfected. This can be accomplished with the use of ultra-filtration membranes (UF) or ceramic filter systems, followed by an ultraviolet sterilizer. In some cases, if there is a lot of odors, a drip chlorination system, followed by an activated carbon filter is most effective to eliminate odors and provide disinfected water in the home. Ozone generators are becoming increasingly popular as a technique of maintaining rainwater tanks free of odor and bacteria. Ozone is an unstable form of oxygen which can be produced on location by way of a compact ozone generator. Ozone is similar but more powerful than chlorine at oxidizing organic material, iron, manganese, and microbes. As opposed to chlorine there isn't any chemical residual left in the water when using ozone. Regardless of what kind of disinfection is utilized such as chlorine, peroxide, ozone or ultraviolet light, a ceramic filter or UF membrane really should be used to filter the water of any parasitic organisms that may be present from bird droppings. These systems can be low-cost and installed at the kitchen sink or for the whole home to provide filtered high-quality water that is safe to drink.